DR Hi-Beams have the edgy tone you want. 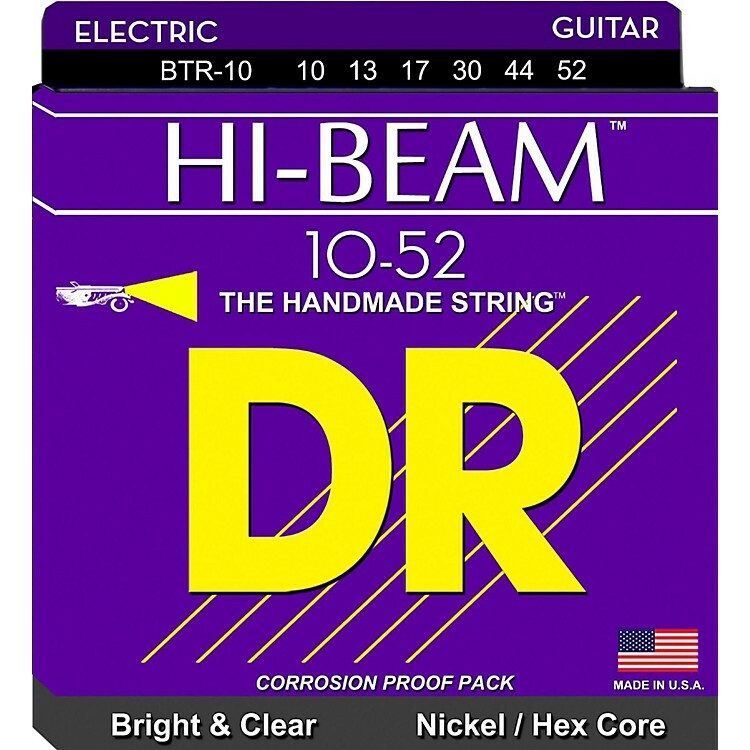 DR Hi-Beams electric guitar strings are very much like the standard Tite-Fit electrics in feel and flexibility, but are much brighter and have an edge to their tone. For the rockers and headbangers looking for the brightness and edge missing in the warmth and fatness of the standard Tite-Fit. Put on some Hi-Beams today!